I know he isn't everyone's cup of tea, but he certainly is mine. 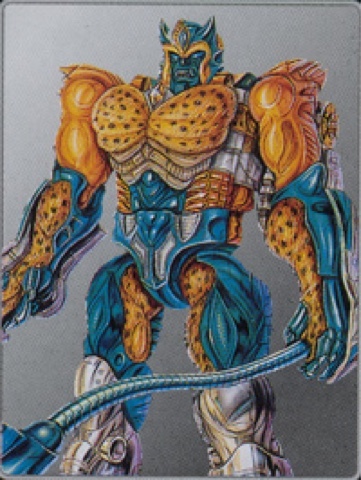 I've always enjoyed his particular journey from youngster to seasoned warrior over the course of Beast Wars to Beast Machines. I don't have all of his toys, but I sure do have a ton. I spent so much time playing him in the N64 BW game that his catch phrase "score one for this cool cat", is part of my vocabulary. I try not to let it slip out, but it sometimes does. The look on a random persons face when I say that is a mixture of confusion and hate. So the news of the upcoming Masterpiece Cheetor toy came to my attention, you could probably guess the mental pre order that went on in my mind.